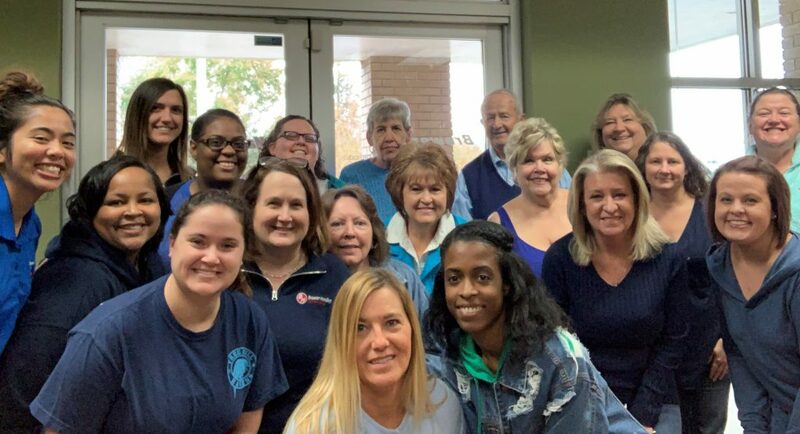 On November 14, 2018, Brewer-Hendley staff wore blue to help raise awareness and to support those who have been affected by diabetes. Did you know that according to the Centers for Disease Control and Prevention that over 30 million people in the US have diabetes? Of that 30 million, 1 and 4 don’t know they have it. Diabetes mellitus describes a group of disorders that cause increased blood sugar (glucose) levels in the body. Glucose provides energy for your brain, muscles, and tissues. There are two types of diabetes, type 1 and type 2. Type 1 is generally detectable in adolescence and is diagnosed with those who do not produce insulin. Type 2 diabetes is diagnosed when an individual’s body does not respond to insulin well and in turn, stops making enough insulin. Type 1 and type 2 diabetes is contactable both as an adult and in youth. The risk of developing type 1 diabetes is higher than all other severe chronic diseases during childhood. With the scope and effects of diabetes at large, there is still no known cure to either Type 1 or type 2 diabetes. To bring awareness to this chronic disease, we sat down with Brewer-Hendley Oil Co. very own Megan Scott, Office Manager, to discuss why bringing awareness to diabetes is so important and how it has affected her day to day life. AT 7:00 am on October 20th teams from Market Express (ME) and Brewer-Hendley Oil Co. (BHOC) arrived bright eyed and bushy tailed, ready to board the bus to an undisclosed location, and gear up to participate in the annual HealthQuest’s Amazing Charity Challenge.